Above and beyond. These are two words that sum up Joseph Del Rio’s commitment to the needs of his clients. 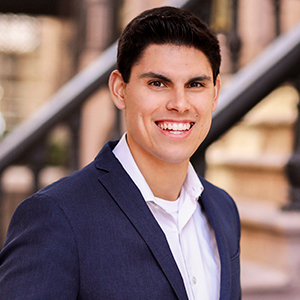 Joseph’s unquestioned work ethic and confident leadership allow him to connect with clients and guide them in the right direction when it comes to renting or purchasing a home in New York City. Joseph's passion for helping others is evident in his background as a teacher and mentor for underprivileged youth. Driven by this passion for people, Joseph earned a bachelor’s degree in sociology from the University of Hartford before joining the Mark O'Brien team. Growing up just outside of New York City, Joseph had the opportunity to experience and fall in love with all the city has to offer. He is a firm believer in Newton’s First Law: A body in motion stays in motion. In his free time he enjoys long distance running, and his favorite activity, surfing.